Reggae Sumfest The Greatest Show on Earth, Montego Bay, Jamaica. Reggae Sumfest The Greatest Show on Earth, Montego Bay, Jamaica. Reggae Sumfest The Greatest Show on Earth, Montego Bay, Jamaica. As we approach the summer season (even though it is summer all year long in Montego Bay) this will be one of the most epic summers ever. One of the shows we are looking forward to is the Reggae Sumfest. Planning on going to Reggae Sumfest? I would for the first time in the history of the Reggae Sumfest stage show a female will be closing the show and no its not “Lady Saw”, it the on and only Spice, Jamaica’s dance hall artist and new actress on one of the United States reality shows “Love and Hip Hop Hollywood Atlanta Star”, You definitely need to be at that show. 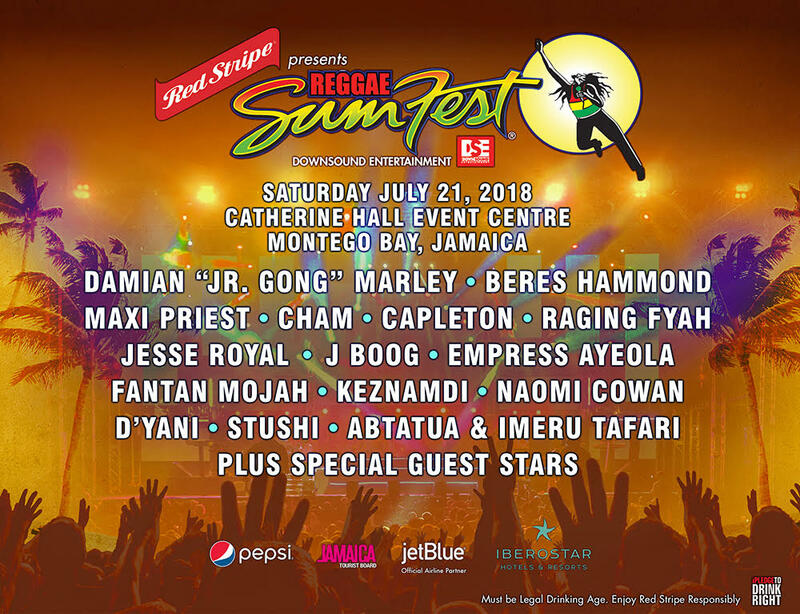 Reggae Sumfest is held in Montego Bay, at the various venues to guarantee fun and excitement, the show will be held from July 16-22, 2018. With each night filled with its own theme, you can’t afford to miss it. No matter which hotel, or where in Jamaica you are staying, do not worry about transportation to Reggae Sumfest 2018, let Jamaica Customised Vacation Transportation and Tours take the hassle out of your transportation needs, book with us and we will take you to the venue and wait for you, isn’t that awesome? Some persons are tired after a long night of parting but how about leaving the party and head straight to your hotel with competent and safe drivers. Wouldn’t that be cool? Now that’s what you call and epic ending to a night of pure unadulterated fun. You are on vacation no need to worry about get bags under your eye, you are here to have fun, you only live once and if you do it right once is enough, make this a memorable vacation book all your transfer and tours with Jamaica Customised Vacation and tours, our friendly, helpful, professional and courteous staff is ready and waiting to serve you, we will guide you every step of the way, we aim to please and always put our guest first. For more details and to book your transportation for the show visit: https://jcvtt.com Call (876) 979-2021 or e-mail info@jcvtt.com.